1 In a double boiler, partially melt the white chocolate over simmering water until it’s semiliquid but still lumpy. Place the cream, tea bags, and salt in a heat-proof measuring cup and microwave for 1 minute. (Alternatively, heat these ingredients in a small saucepan just until they simmer, then cool for 1 minute.) Remove the tea bags. In a medium bowl, stir together the cream mixture and the melted chocolate. Add the vanilla. Keep stirring until the mixture smooths into a well-blended ganache. 2 Cool the ganache in the refrigerator for at least 30 minutes. 3 With two spoons, scoop 1-in/2.5-cm balls of the ganache onto a baking sheet. Roll the balls with your hands into smooth, uniform shapes. Chill if necessary. 4 Sift the matcha and powdered sugar together in a small bowl. Mix in the cereal. 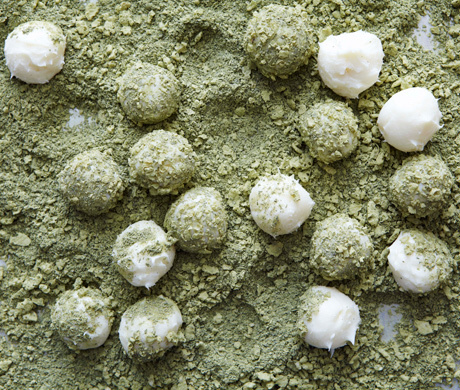 Dip each ganache ball into the matcha mixture and shake off the excess. Serve at room temperature. Store in an airtight container or a zip-top plastic bag in the refrigerator for 4 days or for 2 months in the freezer. Hiya! I know that I have not posted anything in a while but forgive me for I have been a little busy with work and a few other things. I’ll try to get back on track with my post and writing, cause I have truly been missing it. I hope to catch up with a few of you who have been on my mind for a minute. So let me get to thinking of whats next to come so that I can give you something fresh and new! 1. Heat the sugar and milk in a pan for about 5 minutes until the milk is warm—105-115°F—and the sugar has dissolved. Place the yeast into a bowl, pour in half the warm milk, then mix and set aside. Place the remaining milk back on the heat and add the butter. Heat gently for about 3 minutes (be careful not to let the milk boil). 2. Sift the flour and salt into a large bowl and make a well in the center. Add the egg yolks, yeasted milk, and the hot milk. Mix together, drawing in the surrounding flour to make a dough. 3. Tip the dough onto a floured work surface and knead with floured hands for a few minutes until the dough is smooth and elastic. Dust with a little extra flour if the mix is too sticky. Place in a clean bowl dusted with flour. Cover with plastic wrap to keep the dough from forming a skin on top and leave to rise in a warm place for 1-11/2 hours until doubled in size. 5. Meanwhile, make the filling. Put the cream in a pan and mix in the honey to taste. Put the chocolate and butter into a heatproof bowl. When the cream is almost boiling, pour it over the chocolate mixture and stir until well mixed, smooth, and glossy. 6. Combine the remaining sugar with the malt powder in a bowl and set aside. Put the oil in a deep-fat fryer and heat to 340°F, or fill a large saucepan one third full with vegetable oil and heat over medium-high heat until a cube of bread dropped in it sizzles and turns golden brown in 30 seconds. Fry the doughnuts, in batches, for 3-4 minutes until evenly golden brown and cooked through, turning them in the oil once or twice. (You will need to moderate the heat between batches according to whether the doughnuts brown too quickly or too slowly.) Using a slotted spoon, remove the doughnuts from the hot oil and roll in the malt sugar to coat. 7. 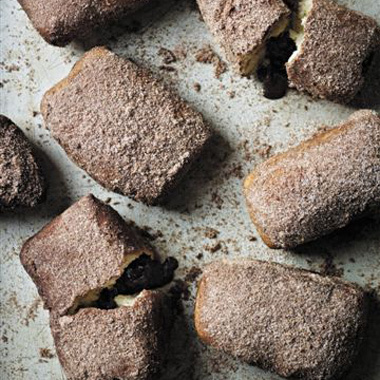 To fill the doughnuts, spoon the warm chocolate filling into a piping bag fitted with a small plain nozzle. Make sure you pipe the chocolate filling while it’s still warm. 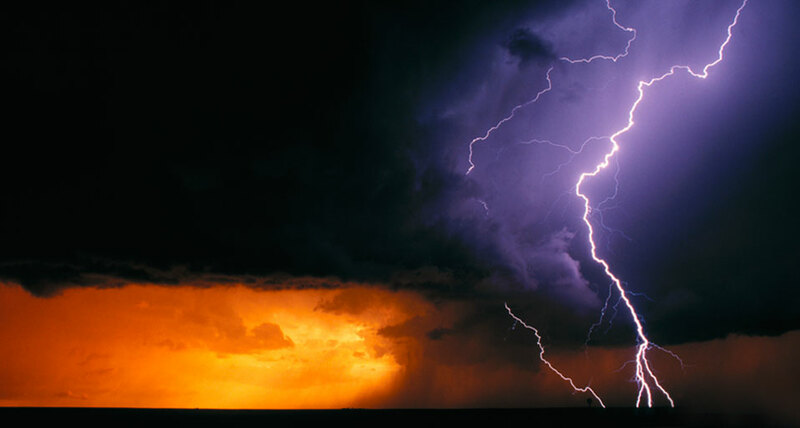 If it cools down too much, it will set and be difficult to work with. Insert the nozzle into the doughnut and gently squeeze in the filling. Serve right away.